You are beginning a wonderful chapter in your life. stress free experience for everyone. We appreciate you stopping by and reading about us. 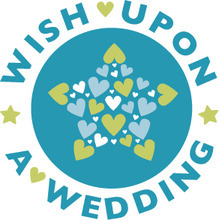 "WE DO" wish you the "happily ever after"
We hope you will enjoy our site and find the information provided helpful. If you would like additional information or have any comments or questions, please fill out the forms provided. Don't forget to enter our monthly CONTEST on the CONTACT US page!
" WE DO" want to make your experience as easy and enjoyable as possible! Click here to see the places we've visited or even a couple who got married in my kitchen! Suscribe to our video link wedoweddings4u on YouTube and see what we're up to! Changing your name? Easy to do with just one click below. You'll also be helping out someone else!